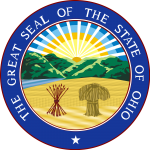 The Ohio medical power of attorney for health care legally binds the principal and another person appointed by the principal, called the `Agent`, to allow the power over their health care treatment to be passed on to the agent under certain circumstances. This will happen should the principal become no longer able to make these decisions themselves. The time when this power is valid depends on the principal`s personal preference The document applies to US statutes § 1337.11 to .17 and requires the signatures of either a notary or two witnesses. 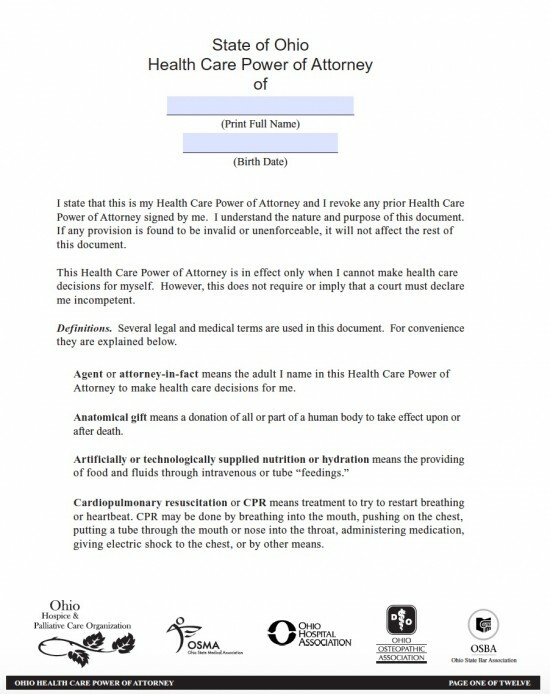 If the patient is pregnant the power of attorney is no longer acceptable. The principal must initial part 3 if they wish to give their agent the authority to life sustaining treatment including artificial hydration and nutrition. The principal must enter the details of any other specific wishes or restrictions regarding their medical health care. The principal must initial to show they have completed a living will form. The principal must initial to show their wishes regarding an anatomical donation. The principal must initial to show they have completed a donor registry enrollment form. The witnesses and notary`s details must be entered.